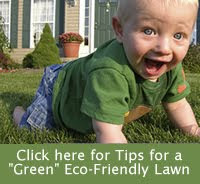 Beautify your property and control your stormwater run-off! Learn about the benefits of rain gardens from experts in rain garden design. Gain hands-on experience by helping to install a 320 square foot rain garden on site. Learn about Frederick County’s Green Homes Challenge and how it can help your household to reduce its environmental impact. The workshop is free and includes light snacks and refreshments. To register or find out more, contact Nicole Robinson at 301.600.1306 or NRobinson@FrederickCountyMD.gov. Registration deadline is June 11th. Space is limited.